Even with the best at-home skin care, time takes its toll, and fine lines and wrinkles form on your skin. At L-Aesthetics & Longevity, in Bee Cave, Texas, Billy Ledbetter, MD, and his team of aesthetic specialists know that the way you look impacts the way you feel, so they offer a wide range of injectable cosmetic treatments including Botox®, Dysport®, and dermal fillers from Juvéderm® and Restylane®. Dr. Ledbetter and his team can minimize signs of aging like fine lines, wrinkles, and collagen loss with an injectable treatment that matches your concerns. Call or book an appointment online today. Botox and Dysport are injectable neuromodulators approved by the FDA to reduce the appearance of fine lines and wrinkles, especially those around your eyes and on your forehead. Both products temporarily relax your small facial muscles by disrupting the movement messages sent by your brain. Dermal fillers are another injectable cosmetic treatment. However, instead of relaxing the muscles that pull your skin into wrinkles, dermal fillers replace lost volume with gels made from hyaluronic acid, collagen, and other chemicals that mimic the fibers and cells in your skin. If lines and wrinkles are stopping you from feeling your best, schedule a consultation to learn about the full range of anti-aging procedures available. 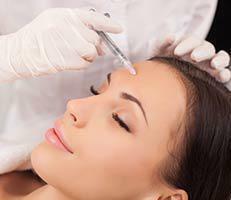 How do I know which injectable cosmetic treatment is right for me? At L-Aesthetics & Longevity, your aesthetic specialist provides a skin analysis and consultation to learn about your concerns and needs before recommending the best treatment to reduce your wrinkles and enhance your overall appearance. Depending on your specific needs and selected treatment, your appointment lasts 20-60 minutes. Your aesthetic specialist cleanses your skin and marks the planned injection sites. Then using a small needle, they make the necessary injections. The results of Botox and Dysport are usually noticeable within 24-48 hours. 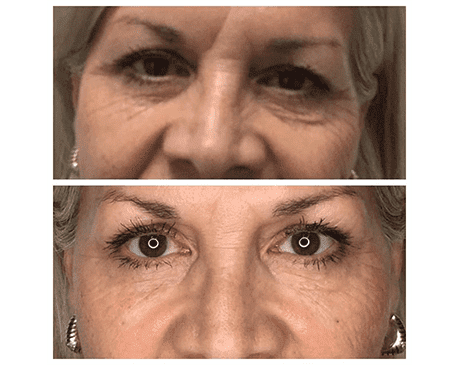 You can see the effects of your dermal filler treatment immediately. Your skin may be a little pink after the injections, but your skin should return to a normal tone within a couple of hours. Call or make an appointment online today to find out how injectables like Botox and dermal fillers can enhance your appearance.